Add pickle juice, mustard, salt and pepper. Stir well. Spoon yolk mixture into egg whites. Sprinkle paprika over each egg. Garnish platter and eggs with fresh parsley or dill if you desire..
And there you have it! These make the perfect appetizer, side, or even snack. So easy and too delicious for words! Want more summer-perfect recipes? Don’t forget to pick up your complimentary issue of Mollie Stone’s Real Food at your local Mollie Stone’s Markets to get more mouthwatering summer recipes and ideas. 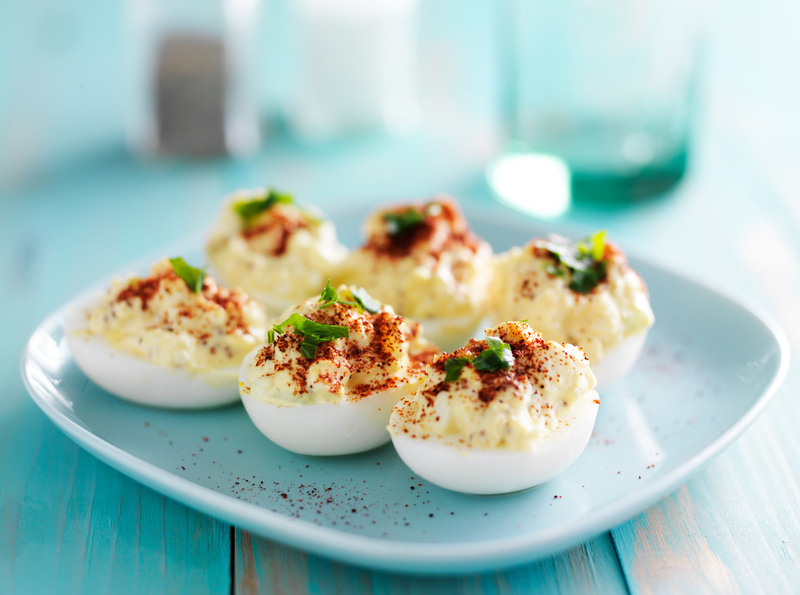 Be sure to share your favorite egg recipes with us in the comments below! Share your egg dish photos with us by posting onto our Facebook page or using the hashtag #CookingWithMollies on Instagram or Twitter.